Halloween can be a great time for outreach--here are free resources that can help. 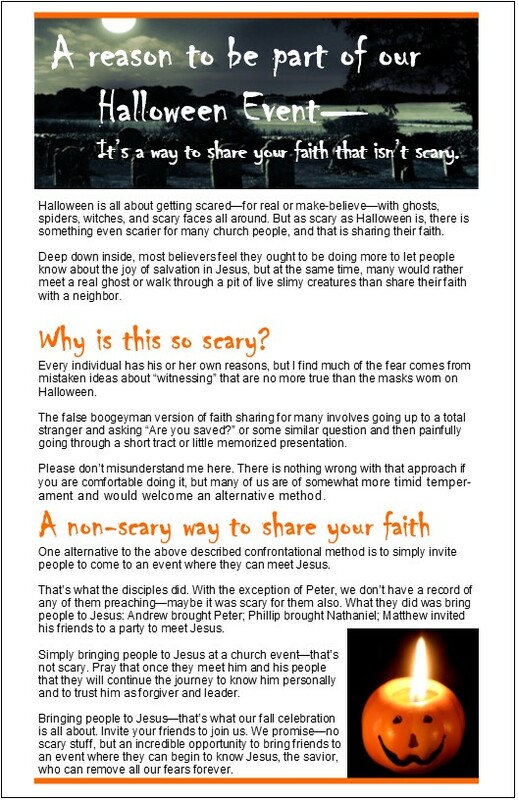 Though there are many things we may not like about Halloween as Christians, people are thinking about death at this time and it is a great opportunity to take the interest already created in the topic to share with them, or at least to get them to think about the only person who conquered death--Jesus. 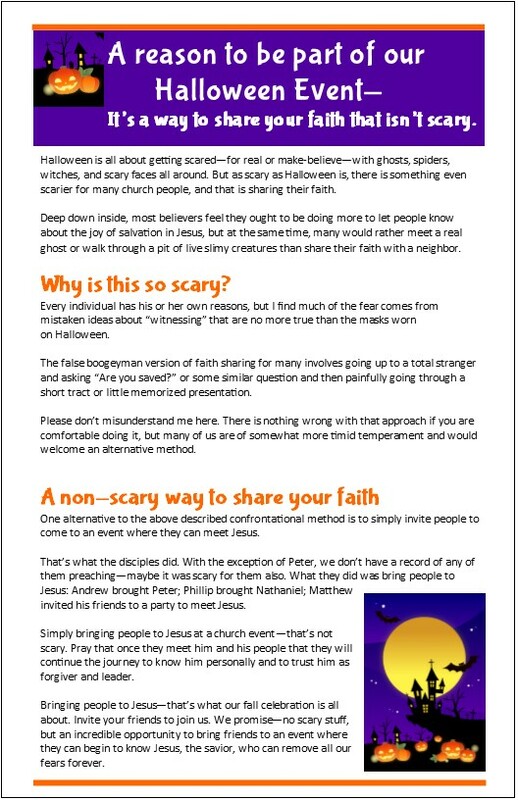 Click on the link below to go to a FREE PDF of a card you can slip into any Halloween treat or use for outreach. 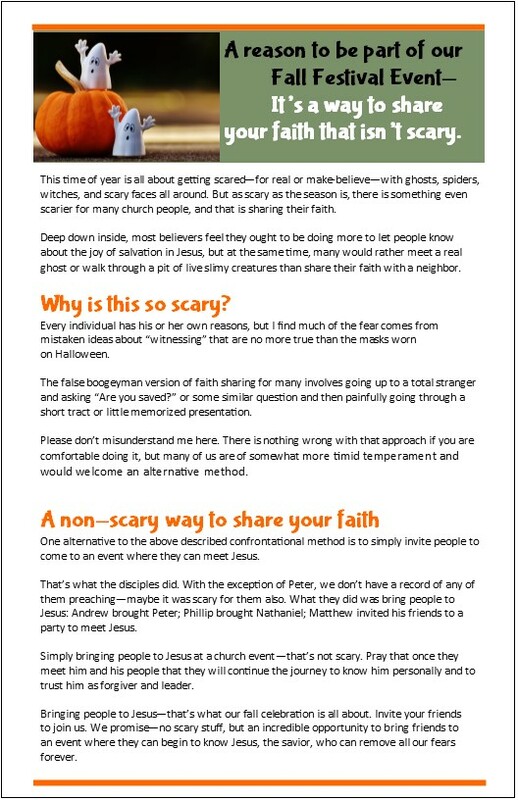 Here are two very powerful videos, under two minutes each that challenge people at Halloween to think about Jesus. For Effective Church Communication Members, you can download the HD versions of the videos. Everyone can link to or embed the YouTube versions on your websites for Halloween Outreach. This program is quick, easy-to-use and the intro version is FREE! Lots of fun to modify some pictures for Halloween.